With dehydrated raw food, your cat will feel like it’s getting a special treat, while you can enjoy the peace of mind that you’re doing what you can to give them the best opportunity for good health. 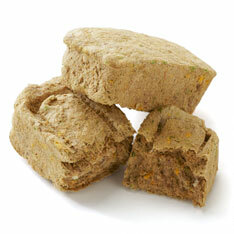 Dehydrated raw food consists of natural raw ingredients that are dehydrated. This means that all of the nutrients remain while the moisture is removed, allowing the food to be preserved for longer. Many believe that this is an optimal diet for a cat as it more closely resembles what they might eat in the wild. Cats love the taste and texture of this food. Primal Pet Foods has been producing raw food for cats and dogs for over 10 years – long before this became an industry trend. Their food is created according to the idea that by eating raw, fresh and wholesome foods, your pet receives optimum nutrition through active enzymes, unprocessed amino acids and necessary vitamins and minerals that are essential for health. A dehydrated raw diet might be right for your cat – visit our shop in The Beach to learn more, or contact us today.